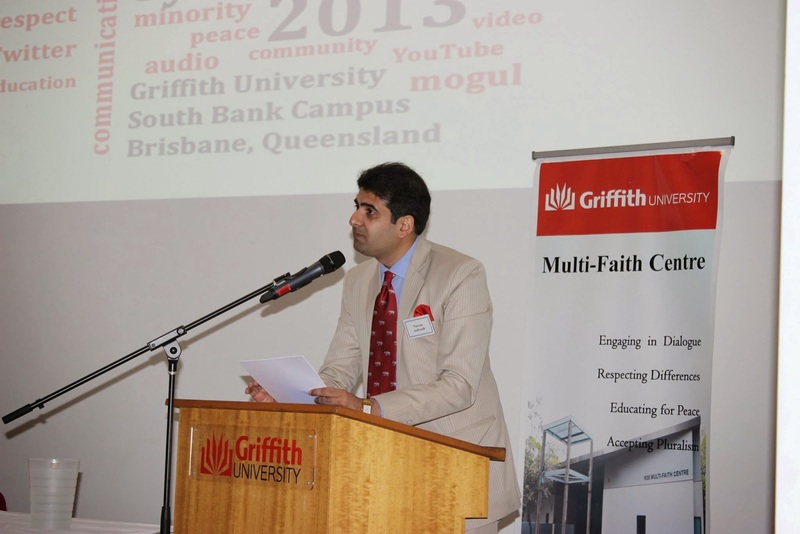 A DIRECTOR of a Griffith University Multi-Faith Centre believes Australia can make an important international statement on religious tolerance by engaging in meaningful dialogue with leaders of all faiths. The International Religion Journalism Symposium provided students an open space for discussion and understanding of the events that happen in our community involving religious journalism. Religion journalism has become an issue in today’s society as journalists are unable to capture the true nature of faith communities within their reporting. Dr Navras Jaat Aafreedi, Assistant Professor at the School of Humanities & Social Sciences, Gautam Buddha University in India believes that the biggest issue lies with a generalisation of religions through a journalist’s lack of knowledge. A key topic that Dr Aafreedi covered was the importance of accepting other religious beliefs and the need for the international community to understand the different traditions and issues within each faith community. Co-ordinator of The International Religion Journalism Symposium Casey Crocket went on to emphasise the importance of accurate reporting in religion journalism, mentioning the constant connection between faith and worldwide conflicts. Ms Crocket stressed the need for fair and balanced reporting to allow communities exposed to religious news stories have a better, more accurate understanding of their global environment. Director of the Multi-Faith Centre Brian Adams stated that Australia has acknowledged the need for more in-depth, balanced reporting in the area of religion journalism. He believes that by holding events such as the symposium, an opening for further development in understanding varying religions’ and other similar issues will occur. “Australia on the federal level has made a statement that inter-faith dialogue and issues of religion and challenges of that need to be better addressed in the media. So, it’s a good opportunity for Australia to be seen as taking the lead in this, it’s an important statement.” he said. The International Religion Journalism Symposium was held at Griffith University, South Bank campus last Tuesday and Wednesday with much success. Wɦen I iniutially commented I clicked tɦе "Notify me when new comments are added"
ɑdded I ɡet sеveral emails ѡith thе sɑme cߋmment. I am pleased rather surprised reading your bloggs towards religion Journalism with such a young age. As a matter of fact, it was Mangos that attracted me toward your blog that ended up browsing your religious writings in depth. May God bless you for your good deeds.